GST rates setup is vary important in tally accounting software. After 1 july 2017 every product or item different -2 tax rate define. (For example 12%, 18%, 28% ). You can able to set GST rates in tally with stock item wise or stock group wise. But before GST tax rate setup you have need to enable GST in your tally accounting software. 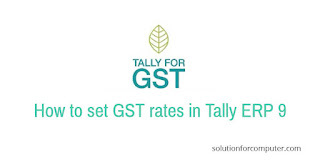 How to enable or activate GST in tally ERP 9. 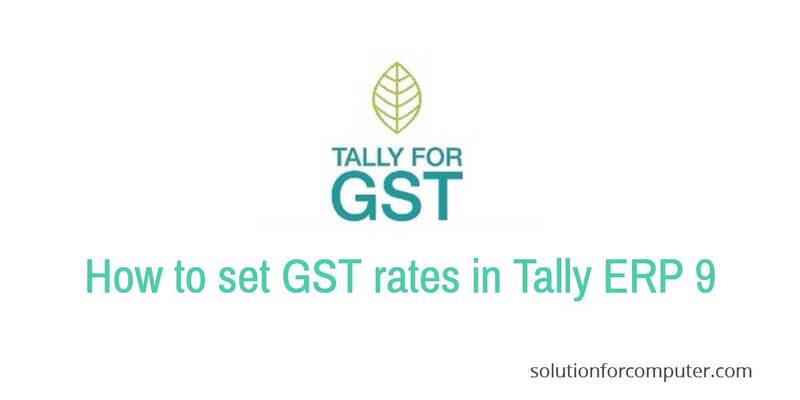 For set gst rate setup in your tally open your company that's you want to set GST rate setup. 4. Go to GST and then go to GST rate setup. You can setup here GST rate on group or par item wise. If you want to set GST rate on Group then select group and click on set rate same process for item wise rate setup select item and click on set rate. 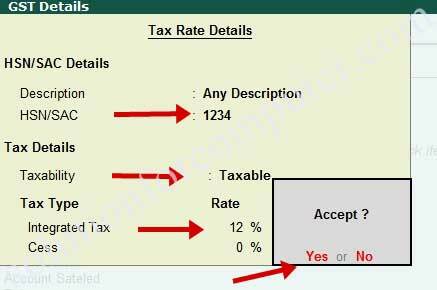 After click on rate setup GST tax rate detail window appear. In there first set HSN/SAC detail. Press Y to accept or save. Now GST rate successfully set on your tally. If you want to clear GST rate setup so press Ctrl + C on same option. If this article is helpful for you so share this with your friends on social media and others.